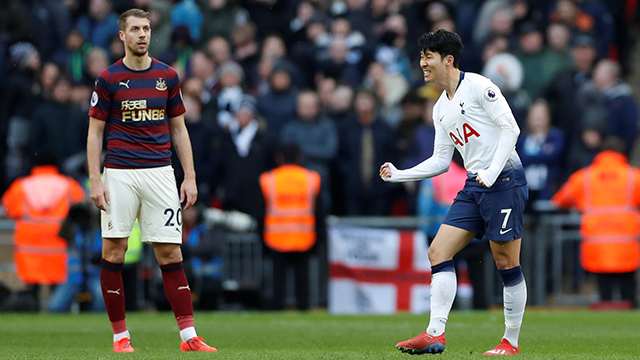 South Korean striker Son Heung-min of Tottenham Hotspur in the English Premier League scored for the second consecutive game on Saturday. In the match against Newcastle United at Wembley Stadium in London, Son scored a winning goal in the second half, leading his team to secure a 1-0 victory. The win also boosted Tottenham into second place in the league. Son has now scored ten goals in the Premier League and 14 in all competitions so far this season. He scored at least ten goals in three straight seasons in the league since the 2016-2017 season. In doing so, Son became the first player to score ten goals or more for three straight seasons.